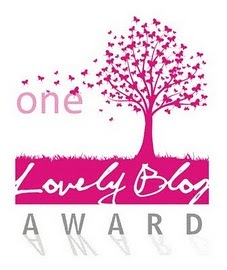 I am really honored to have been awarded with the awesome One Lovely Blogger Award. Include the blog award logo in your post. Nominate 15 other people, and let them know you have done so. 1. Would love to go to Paris someday. 4. I always have an alcohol beside me. 5. I love drinking iced tea (aside from coffee, of course). 7. I love Taylor Swift’s new single “We are Never Ever Getting Back Together”. 5. Erleen @ Books for YA! Can I nominate you back? xD Haha. Yeah, I figured it might work like that. But now you know =P I've got my 15 up, although one of my nominees is award free, so I just notified her and said she doesn't need to pass it on or anything. Thank you so much for the nomination. I'm always humbled when someone thinks my blog is worthy of an award. Again, thank you! Aww. You deserve it ;) You are very welcome. You are very welcome. Congratulations :D I'll check it out when the post is published.